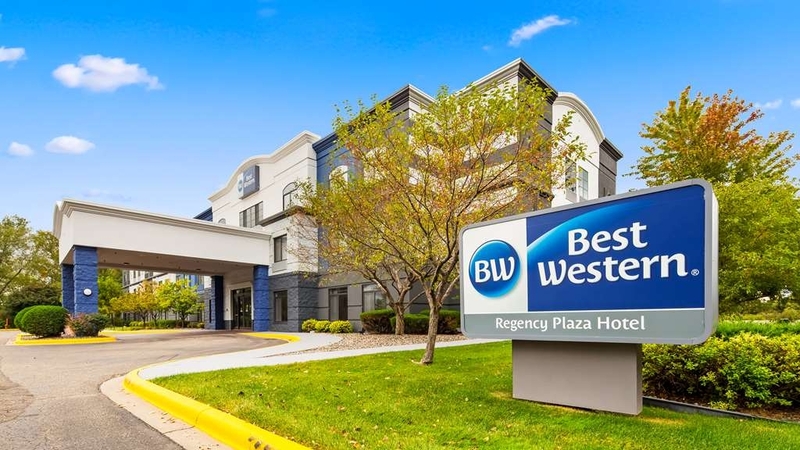 Das Best Western Regency Plaza Hotel - St. Paul East ist ideal in Oakdale Stadtzentrum zu finden. Erleben Sie ein schöner Aufenthalt in der Nähe von alle Sehenswurdigkeiten. Bestpreisgarantie und exklusive Angebote. Wenn Sie modernen Komfort, hervorragende Qualität und eine günstige Lage zu allen Highlights von Minnesota suchen, dann gibt es nur ein Hotel in Oakdale für Sie. Gelegen nur wenige Minuten östlich der Innenstadt von St. Paul, können Sie alle Angebote der Stadt nutzen, ohne im Großstadttrubel zu versinken. Schön eingerichtete und geräumige Zimmer geben Ihnen viel Platz, um den Alltag hinter sich zu lassen. Zwei angrenzende Restaurants am Parkplatz bieten beste Küche für Ihren Gaumen. Das Frühstück geht jedoch aufs Haus. Unser kostenloses warmes Frühstücksbuffet umfasst Waffeln, Gebäckstücke, frisches Obst, Müsli und Cornflakes sowie Joghurt, Säfte und 100 % Arabica-Kaffee. Viele Besucher von St. Paul sind aus beruflichen Gründen in der Stadt. Dieses Hotel in Oakdale bietet alles Notwendige für erfolgreiche Geschäftstreffen. Ganz gleich, ob Sie für 3M Corporation, Xcel Energy Center, Imation oder eine andere Firma in der Stadt weilen, wir kümmern uns um Sie. Zahlreiche Unternehmen sind nur eine kurze Autofahrt entfernt, darunter auch Carestream Health und Hartford. Regionale Sehenswürdigkeiten sind ebenfalls reichlich vorhanden. Beliebte Events wie die berühmte Minnesota State Fair, „Back to the 50s“ sowie die Konzerte und Hockeyspiele im Xcel Energy Center ziehen Besucher in ihren Bann. Was steht auf Ihrer Tagesordnung für den Tag?Genießen Sie einwandfreien Service und komfortable und erschwingliche Unterkünfte. Besucher dieses Hotels von Oakdale genießen Deluxe-Zimmer mit Satellitenfernsehen, Kühlschrank, Mikrowelle und kostenlosem drahtlosem High-Speed-Internet (Wi-Fi). Zwei Bars und Grillrestaurants sorgen für das leibliche Wohl unserer Gäste. Ein Besuch der Twin Cities ist für jeden Reisenden ein Muss. Hier trifftdie Großstadt auf die Weite der Natur, und dieses Hotel in Oakdale liegt genau in der Mitte. Ganz gleich, wonach Ihnen der Sinn steht, unser freundliches Personal steht Ihnen gern zur Seite. Buchen Sie Ihren Aufenthalt im Best Western Regency Plaza Hotel - St. Paul East, und freuen Sie sich auf eine einmalige Reise! Wir wünschen einen schönen Aufenthalt. I stay at this Best Western every time that I am in town, and they never fails to satisfy. The location is great and close to many shopping area. Sargent Peppers is one of the restaurants within walking distance and it is always a good visit. Thank you for the review. We are delighted to hear you enjoyed your stay with us. Also happy to hear you find our location convenient for local shopping and dining. We look forward to seeing you again on your next visit. There were clean sheets on the bed, but other than that, the room lacked cleanliness. The TV remote was in a cloth sleeve labeled “clean remote”, however when I took the remote out of the sleeve to use it, the buttons were clogged with debris and grime. The toilet seat was not clean, there was a clear, “gel-like” substance smeared on the desk, which I cleaned off myself, and the carpet outside the bathroom door was soaking wet...you couldn't tell by looking at it, but it left my socks soaked when stepping there. Couldn't wait to leave in the morning. We want to thank you for writing at review about your stay with us. We appreciate your feedback and are happy to hear you enjoyed breakfast. We hope to see you on a return visit to the area soon. Whether it's business or pleasure we always try to book here first. Great staff. Convenient to main highways. Lots of things to do in the area which makes it nice for the whole family. Great breakfast in the morning. Thank you for taking the time to write a review. We are glad to hear you enjoyed your stay with us and that our location is convenient for your whole family. We look forward to seeing you on our next visit to the area. Great location, Friendly staff. Rooms were comfortable. It is in a location that is close to restaurants and stores. You can get around easily to downtown St Paul if you want. This is our second time staying here and would stay again. Thank you for writing a review about your recent stay with us. We are glad to hear you found your room comfortable and the location convenient for shopping and dining. We look forward to see you again in the future. They had the best breakfast buffet ever. All the staff i had interaction with were extremely nice. The room was very nice especially for the price. It was so affordable. I recommend people to stay here. Staff was friendly. Check in and out was quick. Breakfast was good. No real pool area, not much equipment for gym. If you plan on staying there to relax , swim and hot tub probably not the place for you. It was expensive for what it offered. But we didn't spend much time in the hotel so it was fine for us. Staff was awesome and breakfast was good, parking was close. Location was perfect. Thank you for taking the time to write a review about your stay with us. We are glad to hear your check in and check out were quick and that you were able to take advantage of the deluxe hot breakfast offered in the morning. We are also glad to hear our location convenient for your needs. We hope to see you on a return visit in the future. Thank you for taking the time to write a review about your recent stay with us. We are delighted to hear you enjoyed your stay with us and found your room large and comfortable. We hope to see you again on a return visit to the area. Easy access to hotell. Walking distance to a couple of resturants, and shopping malls close by. Good priced place, kind people working here. A little issue with housekeeping one day, but sorted out good. 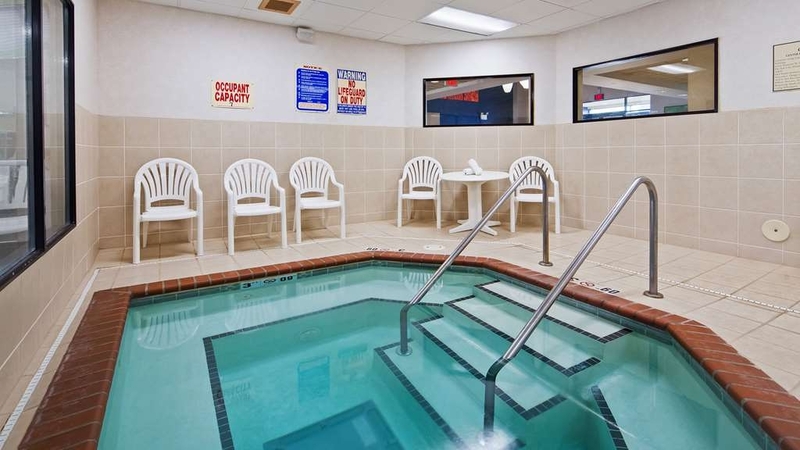 Average Best Western breakfast.A small pool to dip in, and a little fitness room. Wifi worked fine for us entire stay. We are happy to hear you had a nice stay with us and that you found our location convenient for shopping and local restaurants. We hope you come back to visit us on your next trip to the area. Staff was very helpful and accommodations were clean and modern. Great spread for breakfast, you'll have no regrets. As an aside, cool elevator doors, sound like doors from Star Trek. Elevators worked well. Was visiting Minneapolis. Pics of the Anglican church beside the convention Centre and the downtown skyline on a foggy morning. Thank you for taking the time to write a review about your stay. We are glad to hear you had a enjoyable stay with us. We hope to see you on a return visit soon. The staff is pleasant, the breakfast was decent and the grounds were clean. Now, for the rest. - The carpets are not clean. It felt greasy underfoot, which cannot be corrected with a vacuum cleaner. That being said, I saw the maid staff working all the time up to and past checkout to get rooms ready. I just don't think they have enough staff to get it all done. - The bathroom sink was draining EXTREMELY SLOW to the point that you couldn't wash your hands in it. - The shower curtain was dirty. - Recent upgrades were done very poorly, and reflect badly on the hotel. - Plastic silverware for the Continental breakfast? Really? Thank you for taking the time to write a review about your recent stay. We appreciate you feedback and will use it to help improve for the future and help serve our guest better. We hope to see you on a return visit next time your in the area. We stayed here for one night on our way from Winnipeg to Ontario. This hotel was just off the highway. The room was very large, warm and comfortable. Everything was very clean. Seems like it has been recently renovated. The pullout couch looked bran new! The free breakfast was wonderful, lots of coffee, juice, hot eggs & Sausages, waffles and yoghurt! We were well looked after. Thank you for taking the time to write a review about your recent stay with us. We are glad to hear you had a comfortable night stay and that you found our location easy to find right off the highway. Also happy you were able to enjoy breakfast offered in the morning. We hope to see you on your next visit to the area. Thank you for taking the time to write a review about your recent stay with us. We are glad to hear you had an enjoyable stay with us and were able to enjoy breakfast offered in the morning. We look forward to seeing you on a return visit to the area. A very nice hotel with big rooms, comfortaable bed, relatively quiet A/C, good breakfast and a very nice staff.The only issue is the walls are paper thin. Next door (both sides) coughing, sneezing, conversation, kids playing, iPhones ringing can all be heard like it was in your room, including ...ahem, the couple next door physically professing their undying love for each other. Seriously, they were trying to be quiet, but the culmination was hard to miss. A great hotel for business and families, not so great for a romantic weekend. Thank you for taking the time to write a review about your stay with us. We are glad to hear you had a comfortable stay and were able to enjoy breakfast in the morning. We apologize about the noise concerns your had during your stay and for any inconvenience this caused. We hope that we will see you again on your next trip to the area. "A bargain at the price"
Looking for someplace to stay in the St Paul area, Best Western had a flash sale for the Regency Plaza. I looked at reviews and they were mixed but the price couldn't be beat. I am glad I took a chance. Whatever problems they may have had in the past were not evident during my stay. From the warm greeting during check in, to the modern, well appointed room as well as the clean and well maintained breakfast my stay was great. I would definitely stay here again. Thank you for taking the time to write a review about your recent say with us. We are delighted to hear you enjoyed your stay with us and we look forward to seeing you on return visit to the area. We just spent 3 weeks in this hotel visiting family. What a great experience!!! The hotel was clean and the breakfast good. Holly at the front desk was wonderful to work with. She was very friendly and took care of our issues quickly, She always had a smile and a hello for us. 2 housekeepers in particular stood out during our stay - Rebecca and Amy. They were quick and efficient. They took very good care of us and alway has a smile for us. Holly, Amy and Rebecca - we thank you!!! It's because of people like these 3 that we will return to this hotel. Have stayed here a few times now. Facilities are always clean and have never had a bad experience. The free breakfast has plenty of options. The staff is friendly and takes great care. Will definitely stay again. It's right off highway so lots of noise. Ask for a room away from highway if you want sleep. Front lobby very nice and breakfast are was accommodating. Lady at front desk when we checked in was older and funny. They don't have a pool but a small hot tub that was not working when we visited. Hallways smelled pretty bad. Two elevators both were filthy when we arrived and were not cleaned until I mentioned it the next day to the night person. Someone spilled something all over the door and floor. Smelled like rotten milk and was sticky. Say that way from our check in 6pm until I mentioned it next night around same time. Our room was nice. Air worked well as well as TV. The shower would clog and water would fill tub if you remained in to long. Which is super gross. So fast showers!!! Hot water was great! The sign on the door on the inside was broke and on the floor When we arrived. Breakfast was good lots of variety. Waffle maker thought didn't cook it throughly. Lady was really nice who was running breakfast. Price compared to quality not good. I expected higher cleanliness and a more cared for property. Breakfast was great!! Loved the build your own waffle and yogurt bar! The beds were comfortable and the shower hot. Only stayed for the night but a great place to lay my head. Would stay again. Staff very nice. "They where rude and it took about an hour Just to check out of the hotel and all the Manager said it wasn't there fault!" They where rude to me and very short tempered. It took almost an hour to check out of the hotel. also they had no remote for the television and the assistant manager was very shot with me on correcting the problem or making the situation better I would not tell anybody to stay there. The hotel is certainly what we expected-nice clean rooms, friendly staff, and confortable beds. The breakfast buffet was well stocked and had a "yogurt dispenser" they were piloting. It's like a soft serve machine but with vanilla yogurt. Several different toppings were provided i.e. cherries, strawberries, granola and chocolate chips. It was a fun change of pace to the usual hotel breakfasts. I hope we see more of these. Thank you for taking the time to write a review about your recent stay with us. We are happy to hear you had a comfortable night sleep and enjoyed breakfast especially the build your own yogurt station. We hope to see you again on your next visit to the area. "Rude Front Desk, dirty room, nasty bathroom, and smells funky"
I stayed for a night at this location and I was so disappointed. The front desk named Lori W. was so rude, not even a greeting or anything as she was so busy smoking outside. She was not very welcoming and this is not good if you are in the hospitality business. On top of that, the room was not clean, the toilet had some puke stain, the carpet was dirty with animal hair every where. Underneath and on the side of the bed was filthy. It was nasty! Dust everywhere and it smelled funky in the room. I travel all the time and I have stayed in many hotels but this one is by far the nastiest and I will never recommend this hotel to anyone! A bit on the shabby side although you cannot beat the comfort of the BW mattresses. the breakfast attendant was helpful, friendly and made up for the stayover. the parking lot has a couple restaurants to choose from - both ok. Thank you for taking the time to write a review about your recent stay with us. We are happy you had a comfortable night sleep and were able to take advantage of the restaurants in the parking lot. We hope to see you again on a return visit to the area. "Okay, but not as good as many Best Westerns"
Thank you for taking the time to write a review about your stay with us. We are glad to hear you found our location convenient for visiting your relatives and shopping. We appreciate your feedback regarding your stay and we will use it in the future to help improve our experience for all our guest. We hope to see you again on your next trip to the area. "Service is very poor at this hotel"
Checked in Dec 31st- Jan 1st 2017. Hotel front desk lacked hospitality and was not pleased when I asked to switch room due to the first room being dirty. Second room was not much better and outdated. I went down to use the hot tub and it was not very hot and also out of place. It's in a bright room all by itself. Did not get a relaxing type of vibe from using it. I then went to the restaurant on the same lot as the hotel. Service was awesome there! Next morning came and I needed to pack up and go home. I asked for a dolly cart because I had a bunch of stuff and there elevators are slow. Waited 20 minutes! The people using them obviously had no concern for others who might need them. 2 dolly carts gone for 20 minutes! The front desk could have cared less that I was waiting so long. Finally I had enough! I went up and lifted my heavy box to the elevator and held it until getting to my car. I messed up my lower back and it took a 2 months to heal. Thanks Best Western! Never again! Your front desk night and day shift should be fired and replaced. As I finally leave I see one dolly cart pull out of the hotel. I was so pissed they allow this. Carts are to be loaded up and taken down right away, not to be used 20 minutes up in your room then you decide to come down. They all lacked hospitality. "Check out room before moving in - beware of connecting rooms"
We were given a room (308) with a door connecting to another room (which we did not ask for or need) and which was over the entry canopy. Although not totally bad (it was clean), this room was one of the lesser rooms I have had at a Best Western (and I don't think that the hotel was full. Also we had a reservation & checked in fairly early). Positive/neutral: The room was generally large and had a refrigerator/microwave in a separate area next to the closet, which was adequate. The bathroom was small but adequate for us. The bed was comfortable. The room was quiet. Everything appeared to be clean. Everything that we used worked okay. (We did not use WiFi.) The full breakfast was average for Best Western - not great food, but edible. Negatives: Poor room design. The room was effectively divided in two by narrow walls. The king bed filled the "bedroom" half such that there was no room for a bedside table/lamp on the window side and the under-window A/C blew directly on the bed - things which I have not encountered before, even at much less expensive motels. (Unfortunately we did not realize the A/C problem until much later. Fortunately we didn't need to use the A/C at night.) The "sitting" half of the room was fairly empty with just a desk/desk chair & easy chair. For the cost, I expected something better. When we checked out, the desk clerk admitted (after I complained) that this, being a connecting room, was not a great room. To the hotel's credit, I was given extra reward points for the inconvenience. In further communication from the hotel, it was suggested that in the future I ask for a room which did not connect with another room. I would probably stay at the hotel again, but I would definitely check out the room carefully before moving in. Thank you for taking time to write a review regarding your recent stay with us. We want to apologize about what you experienced during your stay and truly appreciate your feedback. We will use your this information for training to help improve for the future. We hope to see you again on a return visit to the area. My family was in town from Michigan for my dad's funeral, so we had four rooms reserved. The gal at check-in was extremely accommodating to make sure that all of our rooms were close to one another. This hotel was recently updated and it is quite nice. Our rooms were spacious and clean. The bathrooms were nice, including the shower. The breakfast was awesome: scrambled eggs and sausage and the other usual fare. One very nice item at breakfast was a yogurt machine with your choice to add in strawberries, blueberries, cranberries, and granola. Most importantly, everything was kept well-stocked and the serving and eating areas were kept very clean. The lady that worked in that area was awesome: helping our large group push tables together and helping the kids. The only downside is that there is no indoor pool; just a whirlpool. There is also a nice little workout room that I used one morning with bottled water and towels. The only reason I'm giving the place 4 stars instead of 5 is because the stairwells were somewhat dirty - they need to assign someone to vacuum and clean them. Also, our room smelled smoky when we arrived. I was able to open the window to help air it out. For the awesome price we found through TripAdvisor, this was a great deal and we would definitely stay here again. Thank you for taking the time to write a review. We are delighted to hear you had a nice stay with us and were able to take advantage of our breakfast in the mornings. Also happy that we were able to get your group in rooms next to one another. We hope to see you again on a return visit to the area. Stayed here 4 nights and got a great deal through Priceline where I picked this hotel. Away from the hustle and bustle of the twin cities but there are 2 restaurants within walking distance and it's only about 20 minutes from Mall of America. Room was very clean and everyday I was asked if everything in my room was ok. Thank you for taking the time to write a review Tommy. We are glad to hear you had a nice stay with us and found our location convenient. We hope to see you again on your next trip to the area. Thank you for taking the time to write a review about your recent stay with us. We are glad to hear you had a enjoyable stay and that you were able to take advantage of some of our new items in breakfast. We hope to see you again soon. the room was very dusty all the furniture, garbage hiding under the bed, cheese plastic wrapper, kid saddle, water bottle, plastic straws. dirty microwave, red stain on the ceiling like blood and nois. Thank you for taking the time to write a review we appreciate your feedback and truly apologize about what you experienced during your stay. I understand how upsetting that may have been. This was not up to our normal standards and are using your feedback to help with training in the future to remedy this situation. We would love if you stay with us again on a return trip. "Great value and good location"
Stayed 3 nights and experienced no issues. Location was easy to get to and quiet. Staff was friendly and room was comfortable. My first trip to Minnesota and when the time comes to return I will definitely look at this hotel again. Thank you for taking the time to write a review. We are glad to hear you had a enjoyable stay. We hope to see you again on a return trip to the area. Good price. 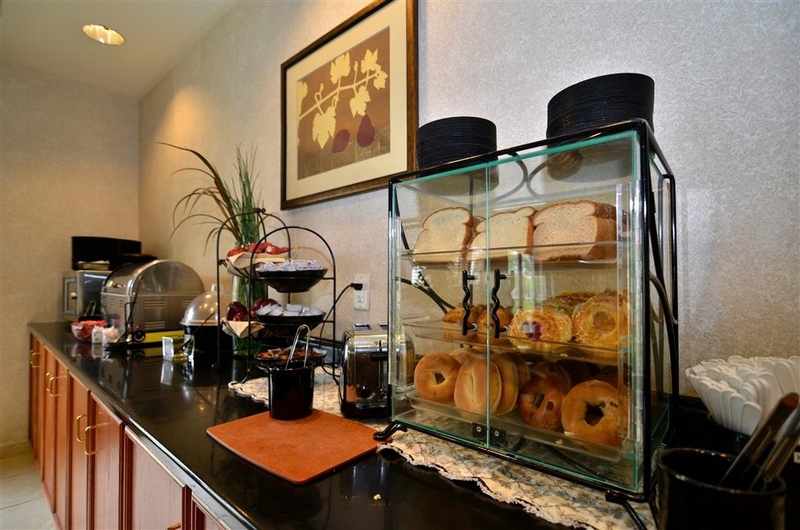 There is a large breakfast bar with many choices of hot items. Hot tub only, no pool, but it was large and very relaxing. The staff were very friendly and helpful. Our room was spacious and equipt with microwave and fridge. Thank you for the review! We are glad to hear you had a enjoyable stay with us. We look forward to seeing you on a return trip to the area. We chose the best western in this area every time we come to Minneapolis for work because of the employees that work work here. Lori, at the front desk is such a wonderful, and pleasant person to everyone she talks to. Holy the assistant manager is always so welcoming and also pleasant to talk to. And Katie with bubbly personality that that always puts a smile on our face. Thank you all. Look forward to coming back. Thank you for taking the time to write a review we are glad to hear you had an enjoyable stay with us. We appreciate you kind comments and we look forward to seeing you again soon. We stayed at the St. Paul East location for 4 nights, and we were delighted with the delicious breakfast bar! Fluffy scrambled eggs with toppings like cheese, bacon and salsa, as well as sausage links. The fresh yogurt machine and waffle irons, with fresh topping choices such as strawberries, cranberries, chocolate chips, granola, brown sugar, syrup and whipped cream, were fun options. There were also pre-packaged yogurt selections, oatmeal, and hard-boiled eggs. Baked items included muffins, bagels, English muffins, and white/wheat bread, with toasters, butter, cream cheese, jellies, and peanut butter available. Juice choices were orange, cranberry, and apple. Fresh 1% milk was on hand for 3 types of dry cereals. Fresh-brewed coffee, regular and decaf, was available 24 hours a day, plus iced water, fruit punch, and hot water to make tea. A large bowl of apples, oranges, and bananas was also offered around the clock. When asked if we needed recommendations for local breakfast places, we chose to eat at the breakfast bar all four mornings as the food was delicious, and the staff was friendly and accommodating! Thank you for taking the time to write a review regarding your recent stay with us. We are pleased to hear that you enjoyed our breakfast in the mornings and that you had a nice stay with us. We hope to see you again on your next visit to the area. Thank you Jason for taking the time to write a review. We are glad to enjoyed your stay at our property and you had a comfortable night sleep. We look forward to seeing you again on your next trip. Thank you for the review David. We are delighted to hear you enjoyed your stay with us. We hope to see you again soon. The hotel is in a great quiet location yet close to everything you would like to do. There are restaurants and grocery stores close by. The best part of our stay was the incredible staff members that were incredibly warm and welcoming. Special thanks to Lori and Cyndi for making our stay comfortable. The breakfast buffet is amazing with a wide variety of options! Well maintained and clean. Will definitely stay next time we are in the Twin Cities area!!!! Thank you fro taking the time to write a review. We are glad to hear you enjoyed your stay with us and that you were able to take advantage of our breakfast offered in the mornings. We look forward to seeing you again on your next trip to the Twin Cities. Nice place to stay. I willl stay again! Clean, friendly people, good location and close to restaurants and shopping. Very convenient for our activities and so nice to come back to clean room and friendly staff. Thank you for taking the time to write a review. We are glad to hear you enjoyed your stay with us and found our location convenient for your activities, local shopping and dining. We look forward to seeing you again on your next trip to the area. Nice hotel, clean room and great breakfast buffet. Thank you to staff member, Corrah, for your excellent service and hospitality! This is in a safe area of St. Paul. Used the exercise equipment and also the office space in hotel. Thank you for taking the time to write a review. 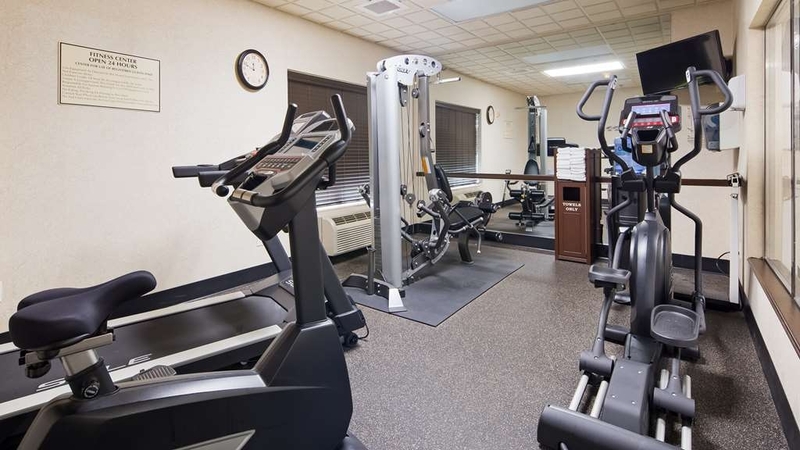 We are delighted to hear you enjoyed your stay and were about to take advantage of some of our amenities offered like the fitness center and business center. We hope to see you again on a return trip to the area. Thank you again. "Almost as Perfect as they come!" Thank you for taking the time to write a review. We are glad to hear your stays are always enjoyable and we appreciate your kind comments. We look forward to seeing you again soon. We stayed here for an expo for fly fishing. Very clean and comfortable. The breakfast is great, fresh fruit. NIce hot tub. The staffing was very friendly and always there to help with some great suggestion for an evening meal. Thank you for the kind comments about your recent stay. We are happy to hear you enjoyed your stay and that you were able to take advantage of our breakfast offered in the morning. Also glad the staff was able to provide recommendations for dining in the local area. We hope to see you again on a return visit. Thank you for taking the time to provide us with feedback from your recent stay. I want to apologize for not meeting your expectations. If you would like to contact me directly at the hotel, I would be more then happy to speak with you in detail about your experience. "Drove long to stay here." 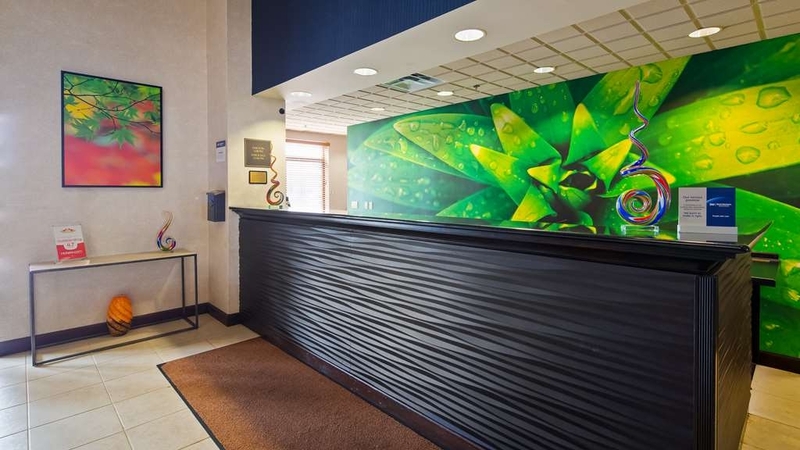 This Best Western is always clean and comfortable, I drove from Grand Rapids, Michigan to this motel in one day knowing that if I get there there will be a clean and comfortable room waiting for me with an excellent breakfast. AND THERE WAS! "Not a very good Best Western to stay at." Came here fore New Years eve because I got a really good deal on hot wire. Checking in was okay but the service was lacking. I had to ring a bell to get service at 4pm. The elevator doors wait 30 seconds before shutting which is frustrating considering this is only a 3 floor hotel. My room was clean but had some minor damage to the walls. My toilet seat cover would not stay up and would fall every time I used the toilet. I had to take toilet tank top off. The bathroom soaps are basic pantene and bar soaps like a cheap motel. I went to use hot tub and they had zero towels in the area. I tried getting ice for my champagne but nothing came out. Had to go down one floor and use second floor ice machine. The TV is direct TV with lots of channels but is also only around 32 inches. Two restaurants in the same parking lot as hotel. Morning came and I was ready to check out but needed a cart for all my luggage. This older lady was also waiting for a cart. The front desk lady did not seem concerned that both carts were missing for over 15 minutes! The older lady got fed up and left. She then went back and forth from her 3rd floor room carrying her stuff by hand. I gave in and also started carrying my luggage out to my car. I finally get ready to go and both carts are being unloaded outside. It's pretty bad when people hold carts hostage in their room for long periods of time. Carts are meant to be loaded and unloaded so the next person can use them. Front desk service did not care one bit. The two stars is for the room decor and size which was nice. I would not recommend staying here if you enjoy good service. The good news is the room was clean. The not so good news was upon check in I had to wait while the desk clerk was on the phone for 5min while I waited but she never even acknowledged me. When we got to our room we noticed that the previous guest let a tray with cups and other items on it in the closet that the housekeeper did not catch. Day 2 our door would not latch closed so we reported it and the desk clerk took off the door plate which worked. The bed is in the wrong place write next to the ac/heater with a Air deflector on it that blows right into the bed and your face. Lady at the breakfast bar is great and breakfast is ok. Hot tub has to much chlorine and is a little cool. Also the towels are the worst rough feels like sand paper. This is a ok motel nothing special. We stayed here four nights this December, two nights each, two weeks apart. It is very convenient to our son's home, which is why we chose the hotel. We were happy with our accommodations and would stay there again. I thought this place was very clean and quiet and had a good breakfast also, no smoking but that's ok. Close to a few restaurants movie theater, super America across the street close by. Would stay there again!?? Great location-easy access off freeway. Good for travelers passing throu or people wanting to do some good shopping away from the mall of America. Nice large room with two queen beds was spacious and comfortable. It's a nice place just outside of St. Paul. It was remodeled this past summer, so it looks great. The rooms could be cleaner and the elevator less scary. But overall, a nice place. I would stay here again. "Nice hotel, fast internet, clean room"
"I will never book here again. :("
The front desk people were unprofessional and unhelpful as was the manager. I must have accidentally booked the night previous to when we stayed because when I showed up, the front desk person told me I didn't have a reservation and they charged me for the night before I came. As this was obviously an honest mistake, I asked if they could just move that money over to the current night to cover my stay for actually being there. They would not and were completely unapologetic. I asked the front desk clerk to call the manager to see if she could over ride that decision. The manager would not. So they got our $100 for us never staying there and wouldn't even just transfer it to the night that we actually came to stay. I was in complete shock that they would actually do that. Way to go, Best Western Regency Plaza. You got $100 for free and you will never get any more from us. Holly was the manager. And I can't remember the front desk clerk, but she had two lip piercings and became instantly rude towards me. This frowny face is for the both of you. :( ****UPDATE**** Since publishing this review, someone from the hotel contacted me. (They chose to remain anonymous) They actually BRIBED me to take down my review, telling me that if I took it down, they'd refund my money, but only if I took it down. My husband I and decided it would be better to keep people informed than to take their bribe. Tip: We ended up staying at the Hilton Garden Inn and had a great experience there and are returning again this weekend. This hotel has completed it's renovations and is in very nice condition. 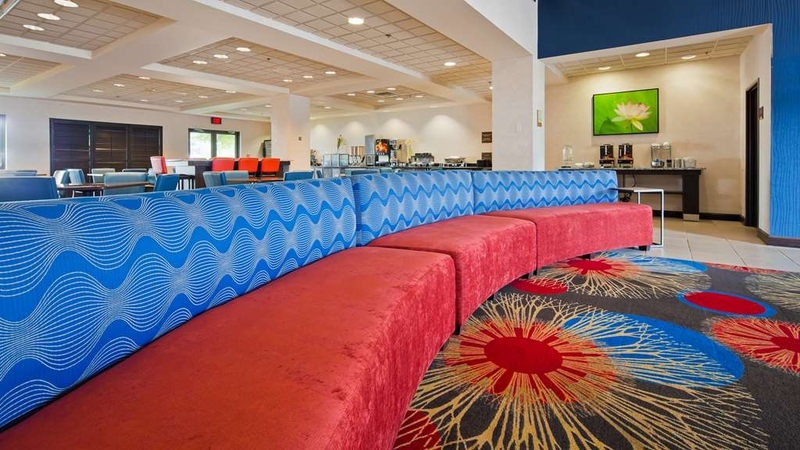 With restaurants right across the parking lot and just a short drive to shopping areas, this hotel has many things to offer. The staff is very helpful and makes checking in and out extremely easy. The facilities and breakfast area are extremely nice. For a very reasonable price we got a nice large room with a king size bed. It was clean, comfortable, the staff was great, a good breakfast. No complaints. One thing we liked is that there were two restaurants very close that you could walk to. We tried one and it was good. It's nice when you're on a road trip in a place you don't know to find a place to eat so close. "Room was Very nice and spacious- quiet at night"
Our King Suite Room was very nice and spacious- it was clean and had 2 couches and a small table to eat at. The bedspread could have been thicker and it would have been nice to have a list of the TV channels. We enjoyed our stay. Lovely curb appeal, new exterior, nice views from rooms, interesting lobby layout, large clean comfortable rooms with refrige, microwave, coffee, flatscreen, beautiful bathroom tile, plenty of towels, good internet. Thank you for your kind words. We are glad you enjoyed our new décor. We hope to see you again in the near future. 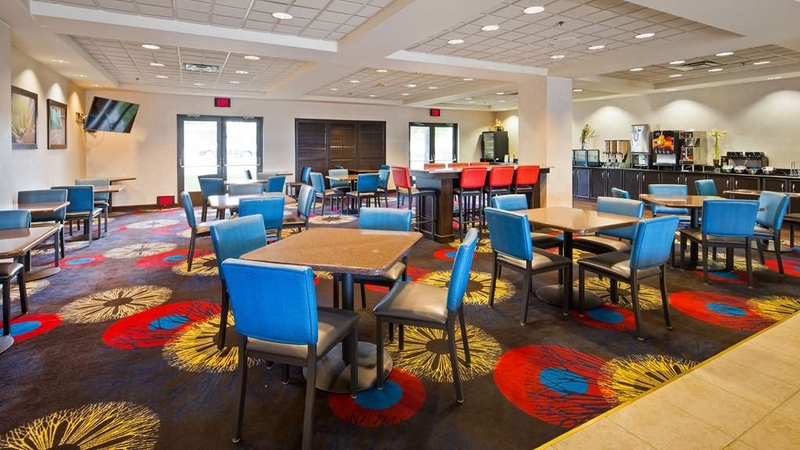 very nice clean rooms and comfortable, and very good breakfast, and also clean and great inside the lobby, and I would recommend this hotel compared to the ones in Woodbury. I would definitely go back. We are glad you enjoyed your stay. We hope to see you again in the near future. We stay here all the time. Away from the crowds and any hotel row yet close to everything in Woodbury. Two sports bars across the parking lot and right at the end of a paved trail system that is great for an evening walk. The location is perfect for visiting that side of the metro. Thank you for your kind words. We hope to see you again in the near future. The hotel was clean and beds were comfortable. The breakfast area was well laid out and breakfast had a good selection of items. We would stay here again. It was well located for our travel, a quick trip off and on the interstate. Was a very clean and pleasant place to stay. Staff were great. Was hard to find with GPS but in a good location once you locate it. Breakfast was great and there were two restaurants within walking distance if you wanted to use them and shopping close by and also main freeways. "yes nice rooms that are pet friendly really do exist!" After driving for 10 hr w/ my 2 cats, and being turned away by a Holiday inn express, quality inn and 2 other normally pet friendly hotels...we happened on this gem! The gal at front desk was happy to help and the room was nice. It was clean and smelled clean,the bed was comfortable and internet was fast. "Room great! Breakfast & room service only so so." Our room was a suite on the third floor, very large and attractive. The staff we met were friendly. I would have given this review a 5 except that the person who cleaned our room left us without towels and clean coffee cups! Also, breakfast was lack luster, esp. the quality of the scrambled eggs. Overall a good value, good location by hwy 694 by St. Paul, MN. I would stay there again. The hotel was fairly nice but the room seemed unclean in areas. There was floss left in the sink and there were dead bugs in the corner. When our keys didn't work we stood at the desk for 10 minutes waiting for someone to come and ended up having to call in order to get someone out to the desk. Probably won't stay there again. Came into town for a wedding with my family. We enjoyed the location of the hotel and the breakfast was hot and ready everyday. Would have preferred bacon on some mornings but overall an excellent experience. All areas clean, all staff very attentive and nice. Ample parking. Hot tub was large and not set too hot. Very nice all around. Convenient location with adequate parking. Secure internet. Comfortable room and bed. No issues to report. Decent breakfast. Quiet - no noise issues to interfere with sleep. Clean common areas. Good hotel, good exterior, good decorations good breakfast but rude staff and smelly room, even when called over the phone they were rude and one hung up before we were done with our questions, even cancelled my friends booking without asking cause we asked if we could cancel it! As advertised. Spacious comfortable room. Breakfast typical, though lacks non-sweetened items such as plain oatmeal (just the usual sugary packets and sugared cereals), longer hours would be better. Fitness center machines all working, one treadmill, one bike, one eliptical. Some building/mechanical/plumbing noise. Have stayed at his hotel before, would stay again. We had a very quick one night stay. We arrived quite late but the gentleman at the desk was friendly and it was a quick check in. With a very sleepy 8 year old that was great. The hotel was very clean and quiet. The room was comfortable and clean as well. We got the rest we needed for another day on the road. Breakfast in the morning was great as well. All the food was hot and there was plenty of options. The gentleman working the breakfast was friendly and helpful. Thanks for a nice stay! 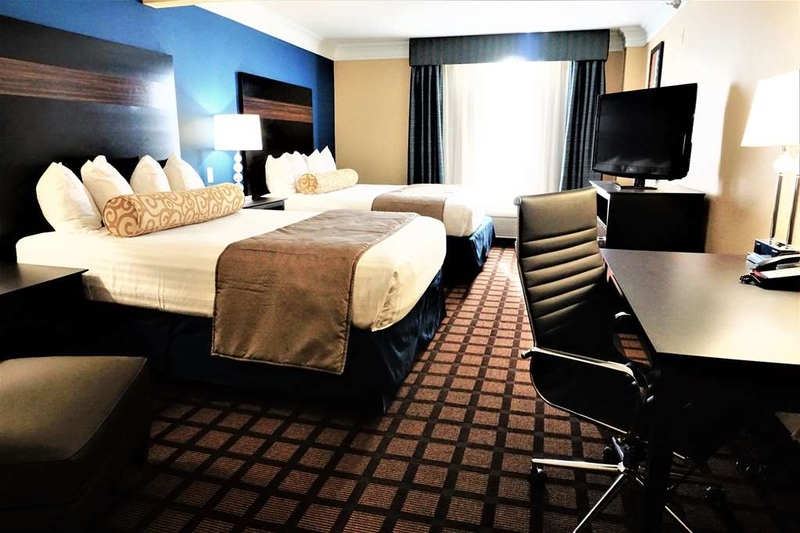 "Stayed here while working a contract assignment"
Beautiful hotel, clean, comfortable with friendly, helpful staff. 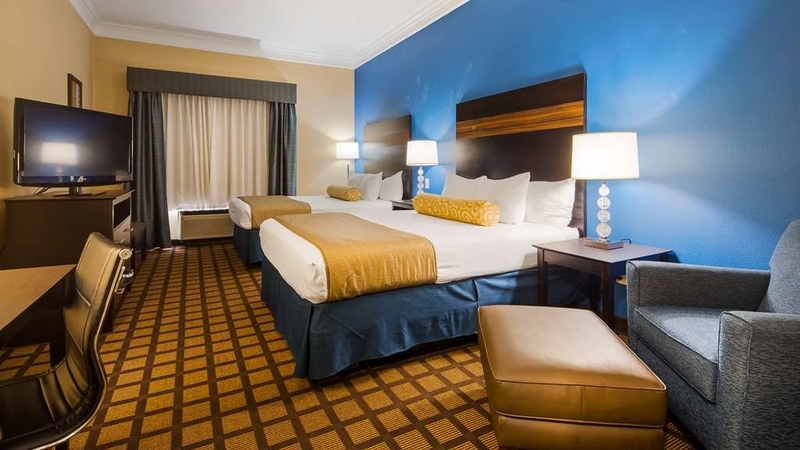 I could recommend this hotel to anyone looking for a clean, safe location for a stay with family or friends while on vacation or to a business traveler looking for a good hotel. I have returned week after week and I am very comfortable. The toilet in our room was not working and to the point of overflowing when we arrived. Fecus was also in toilet. When we notified the front desk, the woman at the desk said she would take care of it. She arrived shortly later at our door with a plunger and handed it to my husband and said you can keep it in the room. This the type of service we were offered, "Do it yourself ." My husband tried for awhile to unclog the toilet. When we checked out in the morning, we mentioned it to the morning clerk and was basically told, "Sorry for your inconvenience. " 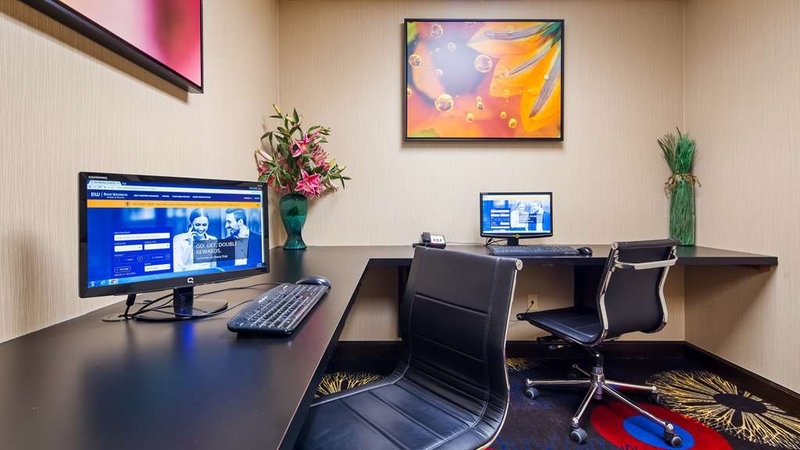 The hotel is conveniently located near I 694 away from the I 94 interchange, but gave easy access to downtown. Nicely appointed rooms, a quiet atmosphere; I know I had neighbors on both sides but never heard TV or conversation. The breakfast was plain but well prepared and presented - no little white donuts and tepid coffee here. Two unaffiliated restaurants on the property. The staff was consistently friendly and helpful. We had to ask for a new room due to a disability issue and were immediately accommodated. Background- I travel for work and spend about 300 nights per year in hotels. this hotel was one of the best. Very friendly staff, clean room, awesome breakfast, and good location. Wouldn't hesitate to stay at this location again. This hotel was very accessible to downtown St. Paul and there were a lot of retail businesses near by. The breakfast area and rooms were clean and comfortable. The King room included a couch, refrigerator, and microwave. We stayed here just for one night to attend a funeral. The room was clean but had a musty smell. The beds were comfortable but the shower/tub had a curved bottom and it made it hard to stand comfortably. The breakfast was typical, nothing special and the waffle irons weren't working properly. We paid $127 for a Sat-Sun and it felt very overpriced. We've stayed in Best Westerns before and this one is definitely not the greatest but fine for a short stay. This hotel was marvelous. We couldn't believe what we were getting for the price of a regular 2.5 star hotel. The room was huge, with a dining table and couch. Everything on the property was clean and well-kept, and there is a fitness center and jacuzzi. The location is nice, near a pretty neighborhood, and across the parking lot there are two bar and grill places if you want to go out but don't want to go too far. I am looking forward to the next time I get to stay here. 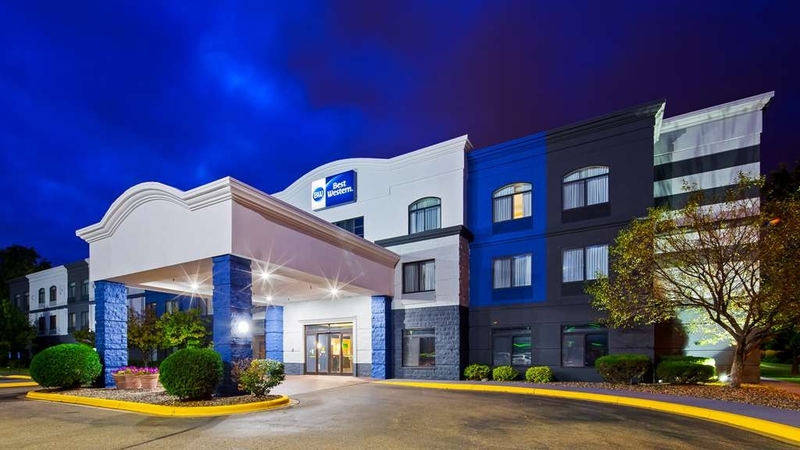 It is outside the city area, so if you have something to do in one of the Twin Cities, then you have a commute, but if I went back there for a conference or anything, I honestly think I would stay in this hotel and drive in. The hotel in general was lovely. The free breakfast was marginal and could have been better though. The exercise room unfortunately had some equipment that was broken. Location was convenient for our stay. Would not recommend this hotel. Our air was not working and the clerk was rude and basically told me "the compressor had to 'catch-up'"--and that they had no other rooms for us to move. Never apologized. "Hot night with no A/C !!" After checking in and opening the room door it was very warm in the room and after trying to adjust the a/c controls, determined rather quickly that the unit was not working. After a call to the frt. desk the woman on duty showed up took off the a/c cover, messed with something inside and announced the problem fixed. One minute later the unit shut off, We were told after another call that there were no other rooms avail.not only was this lady not apologetic she was outright rude. And we spent a very hot night there. Hotel was located in a convenient area off the highway, and i had a pleasant stay. Very quiet and good for business travellers. I would recommend it to my colleagues and friends. The internet connection was also good. Thank you for your feedback. We are glad you enjoyed your stay. Our internet was recently upgraded to a direct fiber-optic connection and we are happy to hear your WiFi service was excellent. "Great value for the money but way under staffed!" We were in town for a family baptism. The hotel has a great location right off the highway but we didn't even notice the noise. Our room was big and lovely and had a sitting room. The hotel carpet had just been replaced the week before and I think the rooms are newly decorated. Breakfast is very good but they didn't put out the extra toppings (strawberries, almonds, granola, chocolate chips, etc) on the weekends - I'm sure that is a cost cutting measure. Also, the front desk staff (almost never there btw, there was a sign out that said they'd "stepped away for a moment" but it was out almost all the time!) also put out the breakfast and another time the night staff person was folding clean towels in a nearby room. Never saw a manager the 3 nights we were there. We were left with the impression that the hotel was very understaffed. Since our room averaged out to be under a $100 a night and 2 of us had breakfast every morning I'm sure margins are tight, BUT it is very annoying to feel the hotel was "holding back" food items on the weekends. I have stayed at many Best Westerns over the years and have never had quite this experience. The staff was VERY nice, there just isn't enough of it. Thank you for your feedback. We strive to provide a great customer experience to all of our guests. It is definitely busy season right now and we are constantly working to make sure our staffing is at or above the needed amount. Found a great deal here on Booking.com so I thought I would give it a try. I was very impressed. The rooms are great newer carpet and very comfortable beds. The TV's are great and have over 200 channels, The rooms are very big and the windows do open. There is a very nice hot tub room with a large tub. Updated exercise room. Breakfast is good with many things to choose from. The bonus here it that there are 2 restaurant bars in the same parking lot, they have outdoor patio's and smoking is allowed. Great food and good prices. It is a well-lighted parking lot to walk at night.Check kitchen hours they do close the kitchen before the Bar. Thank you for your review. We are glad you enjoyed your stay. We hope to see you again in the near future. There was only one person working- doing everything when we arrived. She was still there the next morning. Breakfast was terrible. There was almost no food. You could get cold cereal. The untie Silas and plates were also out. The pancake machine was not working Finally a woman pushing a washpail and mop came and started to restock the food. It was too late for us because we had to get on the road. We choose Best Western because it has a good, quick breakfast. "Clean, comfortable rooms and excellent value"
Spacious and comfortable room and well maintained hotel. Only wished for a few more healthy choices for breakfast. Close to interstate but very quiet. Overall, we had a great stay for 5 days. Will definitely stay again, next time we're in the area. Thank you for your kind words. We hope to see you again in the near future. We are constantly updating our hotel to provide the best experience for our guests. Our family frequents this hotel quite often as we travel around the Minneapolis/St Paul area. We are always pretty happy with Best Western's accommodations and ease of getting on and off the interstate. There are enough things to do and restaurants to choose from where we have a variety. "Wish they had a pool"
Kind of strange to have a hotel that encourages kids, but only a hot tub. That means, yup-you guessed it, kids are in the hot tub using it like a p-pool. Good luck if you want to spend a few minutes simmering in a tub of body fluids. "Best Western Regency at Oakdale, MN"
We had a good stay. Overall it was very satisfying. The front desk people were okay. Not as willing to help with communicating to the workers of our need for extra towels. The breakfast was good and the ladies cleaning our room were very nice. "Yearly vacation for Back to the 50's weekend"
Each year my wife and I head up to the huge car event Back to the 50's. This hotel is always clean, friendly staff, and easy access to freeway to get to the event. The hotel is quite which helps with our getting to bed early.Two pubs are in walking distance so we can walk over for dinner each night. Thank you for your kind words. We always enjoy Back to the 50's. We hope to see you again next year. We have stayed at this hotel several times over the past 9 years.. Friendly staff, very accommodating. Well stocked complimentary breakfast. Close to relatives. Also lots of amenities in the area, ie; shopping, restaurants, grocery stores, Easy access to 494 & 694 bypasses around the twin cities. Thank you for staying at our hotel. We are glad you enjoyed your stay. Congratulations to your granddaughter on graduating. The regency is blessed with quality people who have been there a while. They know what they are doing and must be pretty happy doing it. A current property refit makes it a bit messy around the edges but only in the common areas. The rooms are fine. If you don't need two beds, get the same room with one king or queen. Spacious! The breakfast is tasty and plentiful (if you like scrambled eggs and sausage). Make a waffle, some oatmeal or any of the cold options for variety. Good coffee, of course, available any time. No pool but a spa will get you wet and soak aching muscles well. I skipped the exercise machines but they all seem to be in good order. Good people are critical to a good stay. These skillfully and cheerfully fixed our few minor issues and saw to it that all was well. We'll be back. Room was ok. I hate the little postage stamp pillows that Best Western offers. I don't care if they throw 10 on a bed, they are not very comfortable. Staff was very mediocre. Did their job, but that's about it. Grounds were under improvement, I think. Seemed there was alot of work going on in and out of hotel. Breakfast was slightly under standard for BW. Shining star was the great water pressure! "Good hotel off the beaten path"
This propert was fine but not outstanding. We truly appreciated being able to have breakfast and watch morning news at same time, as we are not able to do this at home. It was an easy to find place just off the highway and very close to prime shopping - Lands' End outlets!! "Rooms good & comfy, breakfast lacks fresh fruit"
Location was great for our purpose! Appearance nice, rooms nice, bed comfortable, good night sleep. Gym was under renovation, so unable to use. Breakfast did not serve fresh fruit, instead old wrinkled apples and absolutely no bananas. Prepackaged boiled eggs with preservatives instead of actual hard boiled eggs. Nice that there are 2 restaurants in the same parking lot, if you just want to walk to a place for dinner. Morning express coffee service uses styrofoam cups and inroom coffee tray, to my surprise had actual coffee cups, that were just rinsed from previous occupants, not washed. Be cautious and please was your cups before using. This is one of my favorite place to bring my clients. The price is very affordable, but they don't sacrifice service. I travel often from Wisconsin to this hotel for one night and then go back to Wisconsin in the morning. Thank you for your kind words. We are very thrilled you enjoy our hotel. We strive everyday to make all of our guests happy. Had to wait around to check-in. Reception staff was out for a smoke. Noise from room above me for most of the night.. Hotel common areas were being redecorated and ice machines were not functioning. Otherwise, a good location with restaurants nearby. Thank you for taking the time to leave us feedback regarding your experience. We always strive to provide an excellent experience for our guests, but sometimes we fall short. We apologize for any inconvenience our short-term remodeling may have caused. We are completed with that phase now. We hope you will come visit us again to experience these changes and give us a chance to provide you with an excellent stay. 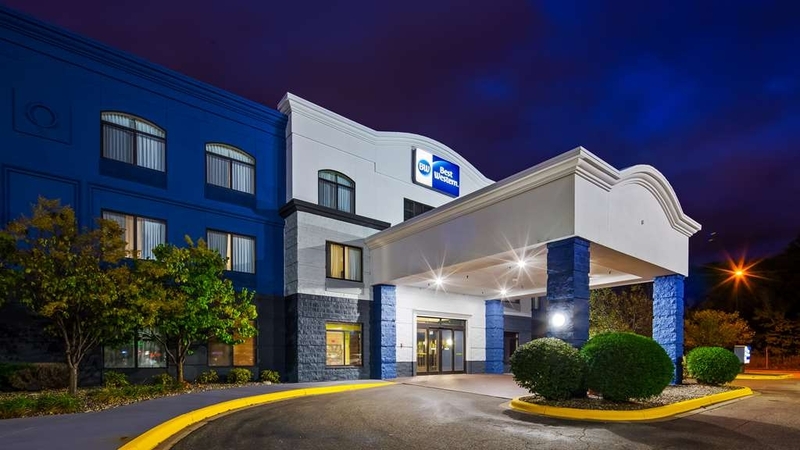 I stay at Best Western Regency Plaza Hotel and St. Paul East Oakdale when I am in the area and never have any issues, besides locking my keys in the room :) The staff is very nice and accommodating every time. I'll be staying here in the future and so should you. Thank you for being a loyal customer. We appreciate your business and hope to see you again in the near future. This is a nice clean hotel. Rooms are clean and the hotel was quiet. Breakfast was unremarkable, but was OK. Service was good and staff were friendly. It's a bit far off for airport or downtown, but seems like a good value for other local events. We are glad you enjoyed your stay. We will continue to improve our breakfast offering and are excited to roll out our new breakfast program soon. 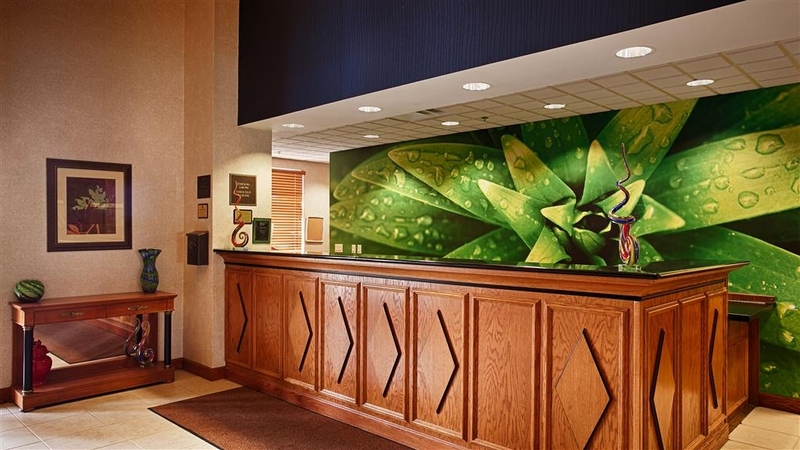 We booked this hotel when going to a concert at the Xcel Center. Was very impressed with the room and cleanliness for the price! Two bar and grills within walking distance. My only complaint is the breakfast area server could have used a warm soapy cloth to clean up the serving area instead of a dry napkin. Would definitely stay again though! Thank you for taking the time to review our hotel. We appreciate your kind words and will continue to improve our services. Great place to stay, clean and quiet. Much better value when visiting family in Stillwater. Great access to main streets. Breakfast was hot and plentiful, good trails for a quick morning or evening walk. Great staff: receptionist, maid and breakfast lady. The hotel needs a total cleaning, especially the fitness room and stairways. Breakfast was good but could alternate. Location was good. Close to highways and within 20min from attractions. Thank you for taking the time to share your experience. We apologize for not providing a positive experience. We strive to provide every guest with an amazing stay, however, sometimes we fall short. We will take your feedback and improve on our services for future guests. We hope that you will give our hotel a 2nd chance to provide the high level of service we are known for. "Nice hotel with affordable rates !!!" Hotel was nice and clean with good internet connection. There was daily cleaning service and the attendant at the reception was helpful. The breakfast option was nice. If they have common tap drinking water available it would be even better. "Nicely updated, but hard beds." The have made some nice updates here. The room we were in was completely new and updated and very nice. The room was spacious and had a sofa, mini-fridge, microwave & coffeemaker. Granite & ceramic in the bathroom, new carpeting in the bedroom area. The rooms were very nicely done--except the beds were VERY firm (I spent part of the night on the couch and my husband woke up with a sore back). Also the bedding appeared older which seems odd that so much money would be put into remodeling the room and they use the old blankets and towels. They had an above average breakfast with fried eggs, sausage patties, waffles, muffins and rolls, yogurt, cereal and fresh fruit. There was a smallish exercise room & hot tub area and the lobby was welcoming. There are no restaurants on site, but there were two (bar & grill style) that shared the same parking lot, so easily within walking distance. Nice place, but if I come here again, I will bring an air mattress for the bed. Stayed here while I was attending a conference in Saint Paul. 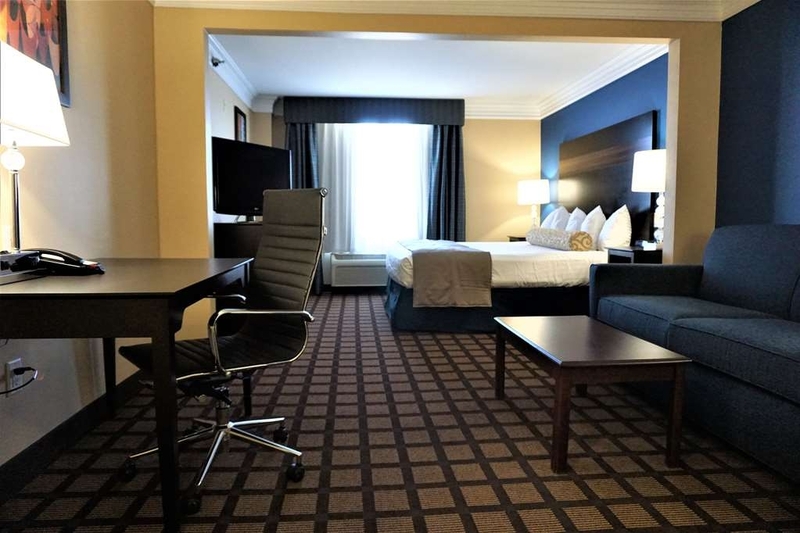 Hotel is an easy 15 minute drive to downtown St. Paul. A couple of restaurants are nearby as well. The hotel was clean and had a good breakfast. 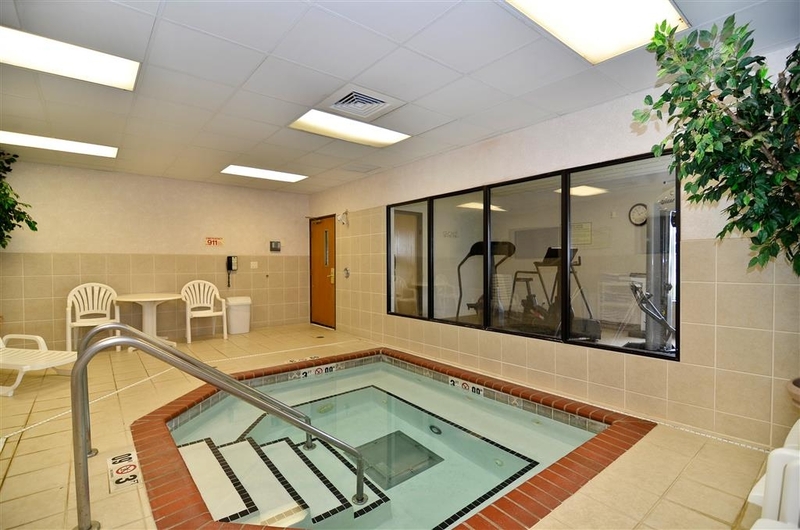 Has a workout area and hot tub as well. My only complaint is that the ice machine on the second floor did not work both nights. The hotel staff was friendly as well. Quiet location as well. I enjoyed my stay and would recommend to anyone who is looking for a place to stay at a good price. Thank you for taking the time to share your experience. We are glad you enjoyed your stay. We have already addressed the ice machine issue so future guests will not be troubled by it. We hope to see you again in the near future. We are glad you enjoyed your stay. Thank you for sharing your experience and we hope to see you again in the near future. "Our favorite place to stay in the Oakdale area." We were here for the Thanksgiving holiday. The rate was very reasonable and the hotel was busy. The room was very clean and had two chairs so no one had to sit on the bed. The room was very quite, the breakfast was very good. The internet work extremely well. There was a Geocache within walking distance which made it even better. Saw some of the same staff that we have been seeing for years. If the staff continues to work at a place, you know that management takes good care of them and that they are going to take good care of you. This is our second stay here in a little over a month. The staff was very friendly. Rooms were clean and comfortable. Two exceptionally good restaurants share the parking lot. Delicious on site breakfast with waffles, eggs, sausage, rolls,etc. Exercise room with bike, treadmill, stepper, and weights. Jaccuzi, but no pool. Business center and free newspaper. Would definitely go back! Convenient location right off of 694 and not far from 94. Upon check in the staff were exceptionally helpful and caring. We stayed at the motel following surgery and for medical follow up. The staff accommodated our needs and offered important information. We were very pleased with our experience. One of the best motel stays in a very long time. This hotel is somewhat dated, but we did not really mind. It is in a great location, very close to I94 and 694/494, so it is a quick access to almost any direction around the Twin Cities. We also took advantage of the movie theater right across 10th street, and enjoyed an evening there. The hotel is clean and the staff is really great. The only reason for the lack of 5 stars is that the breakfast was a little less than expected. No yogurt, only apples for fruit and cold eggs & sausage. But this was not a deal breaker and we would definitely stay here again-just bring our own fruit and yogurt! We also loved the fact that they still have a unit that allows you to run just a fan without heat or cooling, as we both needed the white noise to deaden hotel noise in order to sleep well. The hotel is definitely better than average. The price of rooms is very affordable. The hotel in general, and the rooms are very clean and inviting. My only complaint is that the bed was no more comfortable than any average hotel. "Value, clean, convenient & friendly"
This site worked out great for our one night stay to attend a local concert. 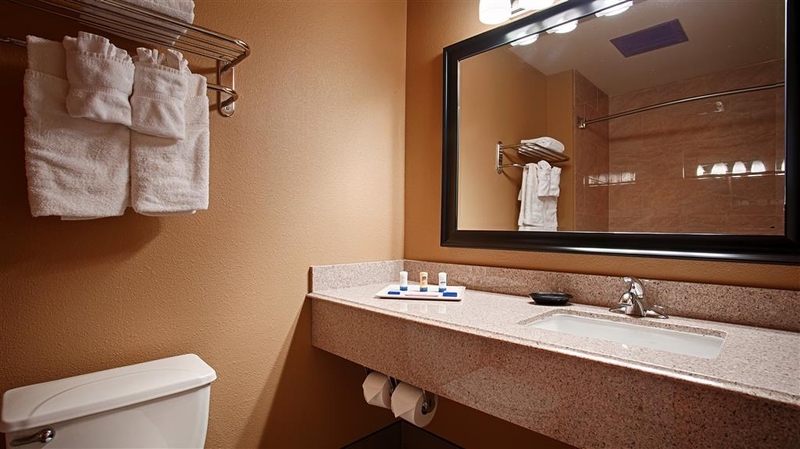 Good value, clean throughout, friendly staff, convenient to restaurants, shopping and freeways. We would stay there again and recommend it to others. We are glad you enjoyed your stay. Thank you for taking the time to leave a review. We hope to see you again soon. "This is the one to choose"
We are glad you selected our hotel. We are even more glad you enjoyed your stay. Please come visit us again. We will be continuing to improve the look and feel of our hotel. We are also excited to add new breakfast offerings. Helpful staff, good value and location, rooms are clean and cozy. This was not my first choice for location, but I was pleased with the availability of a room on short notice. The near location for outside amenities is also nice here. Thank you for your kind words. We are glad you enjoyed your stay. "A for effort ... but still needs improving"
You can tell that they are upgrading and for a cheap hotel, it was very nice. The rooms have been repainted and have new furniture and décor.... but still things are not quite par. The OLD headboard was just sitting behind the new bed. The toilet tank cover wasn't the correct size. The room above us leaked water into our room ... and at 1am, someone finally decided to clean upstairs (which was VERY LOUD and annoying). And the bathroom was upgraded, but the tub didn't drain very well. All and all it was totally worth the price and I have to say the 2 restaurants in the parking lot are a HUGE BONUS! The breakfast was great ... lots of options. 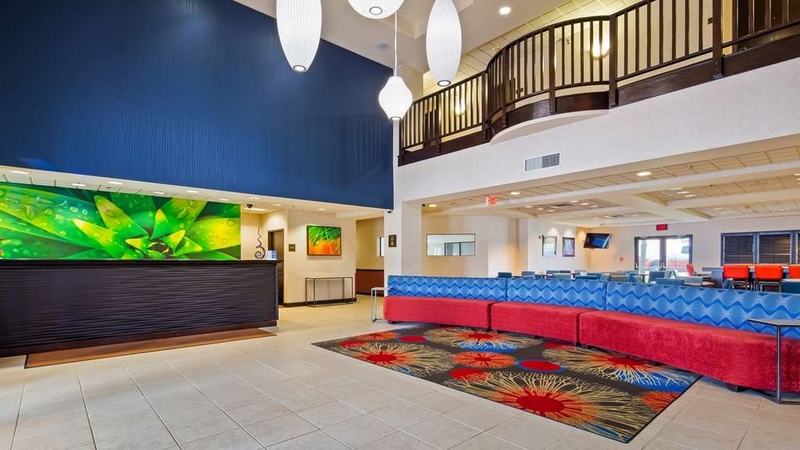 If you are looking for a cheap Best Western experience, you wont be disappointed. If you are looking for an upgraded hotel experience, you will be disappointed. Thank you for your feedback. We are glad you enjoyed our recent updates. We are still not complete with our renovation. We hope you will visit us again once our renovation is complete. "A Best Western with many problems"
What a disappointment. Great location. Looks good from the outside. Current owners seem content to run it into the ground with little concern for upkeep and maintenance. Air conditioner never worked properly even though we reported the problem. Room was always damp. Our clothes felt wet. Even my CPAP never used any of the water in its tank because of the high humidity in the room. The same breakfast was offered for six days. Zero variety. Room cleaning was very poor. There was a piece of tissue on the floor when we arrived. It was there six days later. I question if the room was ever vacuumed. Items in the bathroom (e.g., soap dish) were never wiped up. The towels were thread bare. They were some of the poorest, most worn towels I have ever encountered in a motel or hotel anywhere in the world. The pillows could use some work. They seemed smaller than normal and "lumpy." I will never stay in this motel again at any price even though we visit the Twin Cities frequently for extended periods. We are sorry to hear your experience was below expectation. We strive to provide a great stay for all our guests, but when we come short, we do everything we can to ensure it doesn't happen again. Thank you for your feedback. "Does not appear to like Priceline customers!" Stayed here two days ago. Made reservations through Priceline in March. Called property directly in August to confirm our room would include two double beds and was told it definitely would and a note was put on my account to make sure this was made possible on the day of check in. Upon check in, I was informed our room had one king bed rather than two doubles and, that because I made the reservation through Priceline, that they can not guarantee a requested room and need to give the Priceline customer whatever is available upon check in. I suppose I can somehow try to understand this policy, but then the desk attendant, Holly, told me there was nothing she could do because she was completely sold out for the night. This hotel has 90 rooms, and at 10:30 p.m. that night, there were 21 cars in the parking lot and at 7:30 a.m. the next morning, there were 17 cars in the hotel parking lot. That means each of those 21 cars each brought 4.5 persons to the hotel for that night and those 90 people all had their own individual room. Sold out....Sure. Right. Is this the policy of all Best Western properties or just this one? In addition, we set up a wake up call on our room phone. Well, alas, no wake up call either. When asking Holly about this at check out, she stated "I'll have to check with maintenance about this; I didn't even know our phones could do that." Again, it appears anyone who makes their reservation through an online ticket site, will receive less than expected treatment at this property. If you want to pay their full asking price, I'm guessing and hoping you are not blatantly lied to like we were. 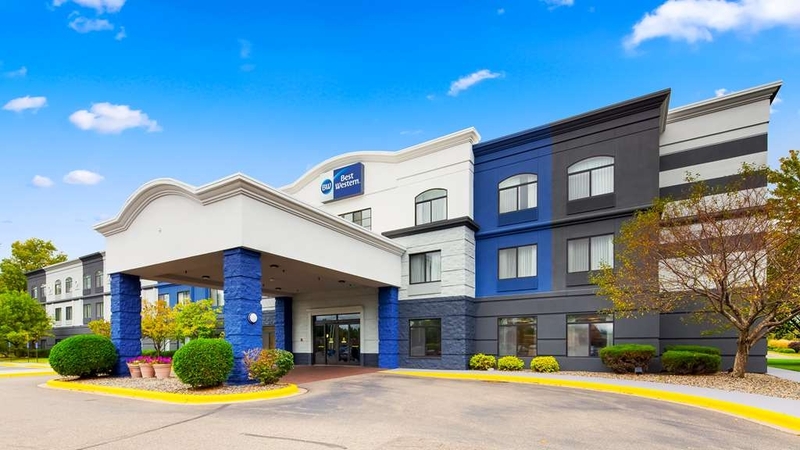 Easy off/on from I 694 or I 94, Pleasant area, building was well maintained, room was clean and well appointed, bed was comfortable, breakfast was delicious with many options. Staff was pleasant and professional .Will stay again!!!! We are glad you enjoyed our new beds. Thank you for your feedback. Very nice hotel in western part of Twin Cities. Easy access to freeway, restaurant's, grocery stores, shopping and gas. Clean, spacious comfortable room at a great price. Refrigerator in the room which is always nice. Definitely will stay there again. A bit far from Minneapolis attractions but an easy shot to downtown St. Paul or Stillwater/St Croix river area. Thank you for your response. We are glad you enjoyed your stay. "This is a very good hotel! HIghly recommended!" I was here on a business trip for one week and this hotel offered a nice, large room with a microwave and fridge, a good-sized flat screen TV and very reliable and consistent Internet service. Everything worked as they were supposed to, the place is nicely decorated and clean, the bed was very comfy and the price was reasonable. There are many restaurants in the area as well. I would definitely stay here again and recommend it to anyone who is looking for a nice, comfortable place to stay at a fair and reasonable price. Thank you for your comments. We are continuing to update the look and feel of our hotel. We are glad you enjoyed the changes. "Clean and close to highway"
Had stayed the night going out west. Very clean and easy on and off freeway. Basic but price way right for a nice place. Was not there long enough to see much but way very happy with hotel. Would stay again. "we came for a funeral"
it was very good for the location. access to eating was wonderful and our company could sit with us in the room ...breakfast at a very clean I hop and most needs where available ....I still think it would be best if telephone books were on hand in hotel rooms since they no longer do that sort of thing. We stayed here while attending the MN State Fair. It was well worth the price of $99. It was only 9 minutes from where we caught the fair shuttle buses making it an easy late night arrival after a full day at the fair. The room was very comfortable, and had 10' ceilings.... something you don't see in a regular hotel. There was a small fridge, coffee maker, living room type chair with an ottoman. The bathroom was large and clean. I noticed how shiny the shower walls were and was very impressed. The bed was just a little hard for our taste, but not so bad we could sleep and the pillows were very nice providing an over-all good night sleep. The breakfast area was well laid out with plenty of options to have. They provided coffee, flavored creamers, juices, fruits, two large waffle makers with syrup dispenser, eggs, breakfast sausage which was the only meat. They had several pastries to choose from as well as yogurt and toppings, English muffins, bagels, and bread for toast. The breakfast room itself was large, so there wasn't that crowded feeling. The breakfast counter was also long providing spots to put your plate or room tray. They didn't have a swimming pool, but do have a hot tub area along with a workout room neither of which we used, but could see from just off the side of the lobby area. It is a three-story hotel with a well light parking lot. The staff was very friendly and recommended a place close by for a night cap as the two grill pubs across the parking lot were closed at 11 pm. This hotel is a little tucked away from the rat race of downtown Mpls or St. Paul, but provided all the comfort of a quality hotel. It is a place that I would choose again to stay. Very nice hotel. Would stay again. And will. Stayed for a weekend visiting our son in St Paul. Nice area. Restaurants close and building more. Hotel seems to be getting a remodel. Very comfortable beds. We checked in without checking over the room and took a cab to a concert. When we returned late that night we discover the toilet seat was broken, the turn knob on the microwave broken disabling the microwave to reheat our take home food. When checking out we were not compensated for poor maintenance of the room our did anyone apologize. Could have been higher except for the severely sticky bathroom door. Bathroom tub could use some caulking. Breakfast was good. Powdered eggs, waffles sausage. I agree with past reviewers that the sausage was really salty. All and all we did get a good night sleep. and it was quiet. Thank you for your feedback. We apologize for any issues you had with your stay, but rest assured we will look into them immediately. We hope you will come visit us again soon. The hotel we stayed at in Minneapolis was very reasonably priced (better than the other 12-15 we looked at), and was located very conveniently in terms of getting there, and also for getting to the Mall of America and Twins stadium. Thank you for staying with us. We appreciate your kind words and are glad you enjoyed your stay. We hope to see you again soon. Thank you for your feedback. We will be sure to look into the issues you had during your stay. We hope to see you again soon. "Great place to stay in the area"
-consistently clean, quiet, comfortable. Athletic equip works. There's easy access to the hotel from multiple directions. Parking is easy and very close to the entrance; all on one level. Breakfast items are fresh and hot. Scrambled eggs were good. There are fresh fruit, cereal, pastry, bagel and yogurt options. -sausages were WAY salty. Thank you for your review. We are glad you enjoyed your stay. "In process of freshening up!" We stayed here for being somewhat close to airport and with a great rate. Booked thru AARP. Has hot tub but no pool. Rooms clean and quiet. Ample parking here with a restaurant within walking distance. Great location, easy access to I-694/494. We are glad you enjoyed your stay. We hope to see you again soon. A one night's stay, coming from the Minneapolis/St Paul airport, A little difficult to locate but once there it was a wonderful place to unwind from traveling. Staff very gracious and helpful. Breakfast was good. They were remodeling, nearing completion during our stay; very clean, decor pleasant. Room was spacious. I used the exercise room; equipment was adequate. Thank you for your feedback. We are glad you enjoyed our new décor. We hope to see you again in the near future. "Huge Beautiful Rooms Off Highway"
We stayed there for a wedding going on in Stillwater, MN, about 18 minutes away. We booked this hotel because the price was very reasonable for the caliber of hotel compared to Stillwater and it was right next to Men's Wearhouse and one of the best cigar shops around (huge variety!!). The hotel was tastefully decorated in modern furniture and the carpet in the room looked new. The breakfast was not the best I'd ever had but it was decent and had everything you would expect a breakfast to have including biscuits and gravy. Even though it was near the highway, you couldn't hear any noise from it. The rooms were very large and were reminiscent of a junior suite elsewhere. There was a Keurig machine in the room with tea and coffee available, which we loved! The staff was friendly and accommodated a late checkout. We ended up moving to another hotel at the end of our stay just to be closer to Stillwater but we regretted it afterwards as this hotel was so nice for the price. It was also about 30 minutes from the Mall of America which is simply AMAZING if you've never been. Thank you for your response and we are glad to hear you enjoyed your stay. We work hard to make sure all our guests enjoy their time at our hotel. We have a lot of exciting changes coming to our breakfast area as well. We hope you will come stay with us again next time you are in town. "Best Western St Paul East"
Some of the staff were friendly some were not. One bar of soap to move between the shower and then back to the sink is penny wise and pound foolish, when I asked about this I was told that was there policy. When I asked to speak with the general manager, someone named Prince, he never made himself available to me over the next 5 days. (guess I am a commoner) The room was clean for the most part and spacious but the only chair was the desk chair. We travel with a service dog and do not have maid service everyday, when I asked that out room be cleaned that I was taking the dog with me for the morning. As I am sure you have surmised by now, being gone from 8 till noon the room was still not cleaned. I have stayed at several best western and this was one of the worst for service I have seen. Several motels we have stayed at provide some type of incentive for not using the maid service everyday, here we received a notice under our door that the maids must be allowed in every 3 days. Almost a threat! "Pleasant weekend in the Twin Cities"
The hotel was a great site to base our trip to the Back to the 50's car event that we go to every year. We enjoyed it enough to rebook for next year and add an extra day. Breakfast was varied with good food, staff was friendly and helpful. We appreciate your feedback and are glad you enjoyed your stay. Back to the 50s is always one of our favorite times of the year. The cars are amazing, but the people who come with are even more amazing. We hope to see you again next year. "Grossly Overpriced Dump of a Hotel"
I am a business traveler and have had my share of disappointments; however this hotel tops my list of disappointments. We stayed over the weekend of 6/10-6/12/16. The hotel is being renovated; however, this was not disclosed when the reservations were made. I should have known it from the time I walked into the hotel - the staff was unresponsive and unhelpful. After finally getting my room assigned, we walked to the elevator that sounded like it was in need of maintenance. We were joined by a group in the elevator and we climbed to floor 2, the noises the elevator made you wonder if we were going to make it. As the couple left on floor 2, they jokingly offered to call for help should we not make it to floor 3. We made it to our room (313A), a junior suite and found that the room was dirty. The sofa cushions were falling apart and the fabric appeared to be sprayed with bleach. We get to the bed and we find a bar of soap screwed onto a exposed screw to ensure that nobody got cut by the screw. I understand that there is renovation in progress; however, I am not sure that management understands the concept of priorities. I am not sure that there even is an involved management at this property. Thank you for your feedback. Since your stay we have already replaced all the furniture in our rooms. We hope you will come visit us again and experience our exciting changes. Although I requested an early check-in online, when I arrived around 11am, the Front Desk person was busy chatting to another staff person and did not acknowledge my presence for several minutes. Finally, she just looked over her shoulder and said Check-in was at 3pm and no rooms were available now. I had to get to a wedding lunch reception so I just left. Later, when I returned around 4pm, fortunately, another Front Desk person checked me in quickly and politely. Breakfast was the usual BW offerings -- a bowl of fresh fruit, packaged yogurts, pastries,cold cereals, chicken sausages, a waffle iron was out but no waffle batter --maybe the batter was put out later -- I arrived at the start so I had freshly scrambled eggs. The decor/carpet needed a fresh update, and the bed linens were wrinkled, but the room appeared clean and the "sanitized" TV remote was encased in a bag. The location was convenient and easy to find just off the highway exit with nearby restaurants and gas station. Convenient but not especially welcoming. Thank you for you feedback. We apologize for any shortcomings during your last visit. Our team strives to provide excellent service to all our guests. We hope you will come visit us again and experience our fresh remodel once it is completed. We were there for a High School Grad. 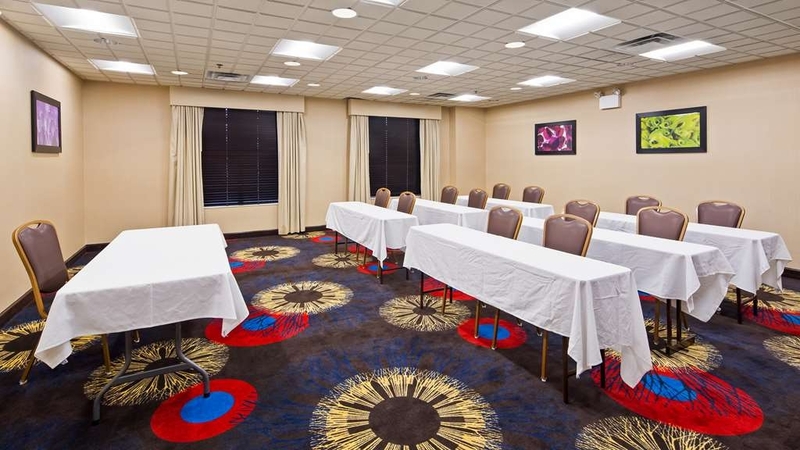 Large room , good breakfast, helpful staff, great location. Near highway 494 and 694. Twenty minutes from the airport. Both St. Paul and Minneapolis were easily reached. We are glad you enjoyed your family visit. We hope to see you again in the near future. "For the price it was worth it "
I got what I paid for. Fire alarm went off 345am and that was frustrating but it did detect a chemical burning from items not stored appropriately by a construction crew. Staff was very good, Room was clean, Breakfast was good, location was great! Was fine for my work trip. Thank you for sharing your experience. We apologize for any inconvenience the fire alarm may have caused. It is certainly not a common occurrence at our hotel. I'm glad you enjoyed the rest of your stay. Let us know if you need anything during your next stay in our area. They are in the middle of renovations. We were the first to stay in a newly remodeled room. I have to say it was very nice and whomever did the painting, did an excellent job. Very clean. The breakfast was good with a variety of foods to satisfy anyone. The bed was soft yet comfortable. The only thing...is if you are updating and renovating, please change out your bathroom towels. They are ultra thin and one towel doesn't even wrap around a person. Absolutely not fluffy, scratchy, and see-through. That was the only downfall..............otherwise, nice place to stay. Thank you for taking the time to share your experience. We are glad you liked our new renovations! :) We will continue to make more updates in the coming months. "Great place and friendly staff!" My family stayed here for 4 nights and would definitely recommend it. We were in town for my brother's wedding. When my husband and I arrived, we were greeted by Holly who was very friendly and helpful. She gave us excellent recommendations of local restaurants and where to grab a bite --- we had a delicious lunch at Hyvee's. The location was convenient, close to major highways, shopping, food/groceries, gas station, and the venue of the wedding. Breakfast buffet was good, hot tub was clean and warm, rooms were big, staff was accomodating to our needs, and the rate was reasonable. Thanks for a great stay! We are glad you and your family enjoyed our newly renovated hotel. Let us know if you need anything prior to your next stay in the Saint Paul East area. "Pleasant stay - a bathroom refurb would improve it further"
A pleasant stay for two nights: staff, breakfast and room decor all good. Water shower pressure and temperature both excellent, and the only thing I could suggest would be a bathroom update to bring it up to the room's overall condition and feel. Thank you for taking the time to share your experience. We hope you will come visit us again to experience our renovations once they are completed. My wife and I flew into Minneapolis late on a Monday night. 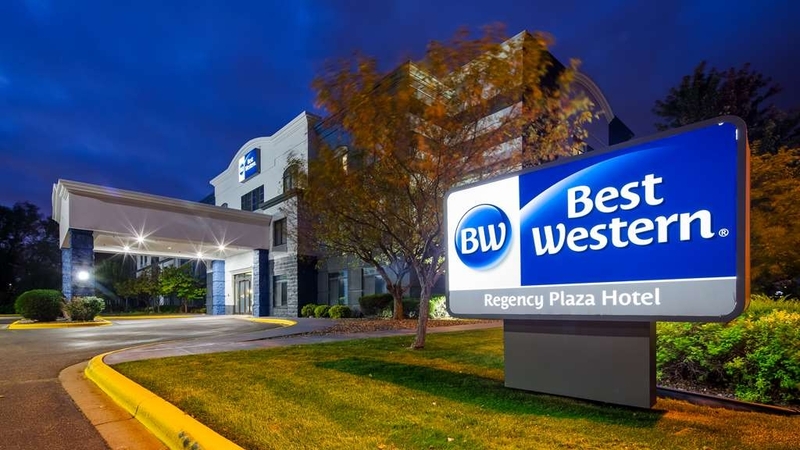 We could have stayed at a "park and fly" hotel near MSP, but decided to get a little further north toward our final home destination, so we stayed at the BW Regency Plaza as it met our criteria and because we belong to the BW Reward Program. The hotel met all of our expectations and we would definitely stay here again. Check-in was easy, the room was well appointed and comfortable, and the hot breakfast was also very tasty and well presented. 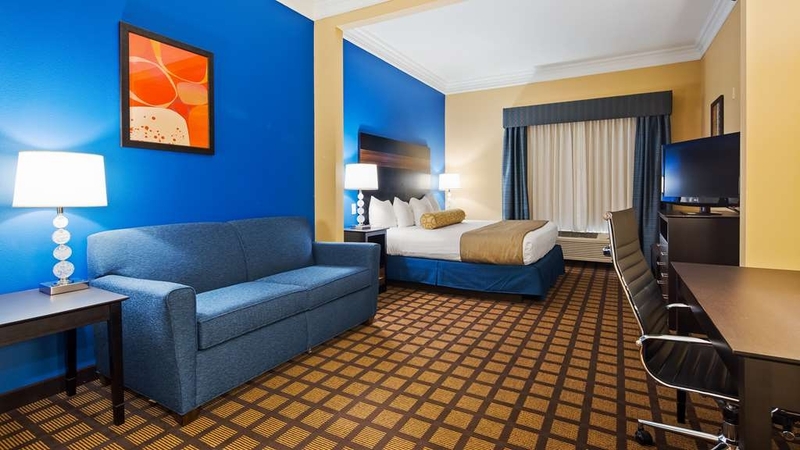 Thank you for being a Best Western Rewards member! We are glad you enjoyed your stay and hope you will visit us again next time you are in town. My husband and I were in St. Paul for a concert this past week and chose this hotel based on reviews we had read. Friendly staff, very clean, great hot breakfast. Quiet location. Beds were comfy. Room was huge! The hotel is under renovation so there was the occasional smell of door stain/paint in the hallways, but not too bad. The one thing we thought was odd was that it didn't have a pool - just a hot tub and fitness room. We would definitely stay here again! This hotel was under a bit of remodelling. They were installing new carpet. Our room was very nice and big. The new carpet looked great! We were able to walk over to Sgt. Peppers for dinner that night. The breakfast at the hotel was good, basic. It was all you need for breakfast. Staff was very good. "Noisy, in disrepair, not comfortable. " The floor/ceiling are lacking any noise reduction materials. We could hear the tv, talking, water running and EVERY step taken in the room above us. It sounded like they were moving furniture from 1am until 1:45am; again from 3:50am until 4:45am and once more at 5:30am. We got very little sleep. In addition, the interior door safety lock was broken off of the door and laying on a counter. (Mom traveling with teen daughter - did not feel safe so I shoved a chair in front of the door for the night) The shower drain plug was not operational requiring it to be unscrewed/removed to allow the water to drain. The beds were saggy. Overall it was a miserable stay for $98. "In Transition but Still Very Good"
The hotel continues to have great rates, excellent location, easy access to the I-94 system in all directions. It has a complete breakfast with wide selection of foods. It is undergoing a transition with renovation of the rooms in progress. Some of the furnishings need replacement, such as drapes and rugs. Microwave and refrigerator in the room is great. Nice TVs and easy Internet access. Very nice business center with printer. Adequate exercise room and spa. We stayed here before and will again. Thank you for sharing your experience with us. We appreciate your patience while we renovate our hotel. Our furniture (including curtains) will all be replaced shortly as part of our renovation process. We hope you will come back and experience our newly updated hotel! I stayed at this hotel for an event in town. Great value and glad to see they are keeping the hotel updated. Staff was nice and helped me pick out a good food venues (I'm a big foodie)! I will be back in town soon for more meetings and will definitely recommend to my co-workers! "Nice and Not Too Expensive"
Thank you for taking the time to comment on your experience. We are glad you enjoyed your stay! :) We are currently undergoing a total remodel to improve the look and feel of our hotel. We hope you will come stay with us again soon to experience these changes first hand. If there is anything else we can assist with, do not hesitate to call our hotel. Our stay was not a good one to be honest. I am not one to complain, but I had reserved these rooms for a bachelor party coming in from Canada and I was sorely disappointed at the staff (besides Misty), the rooms, and the overall cleanliness of the hotel. In one room, bed bugs were discovered after one of us was bitten and the hotel rules/regulations sign fell off the wall twice. The other room had extremely shoddy repairs to one headboard, duct tape was used to hold on a bedepost, while the other headboard was cracked and the post was missing entirely, with raw/sharp staples just hanging out. We eventually found the bed post behind the television. We found beer bottle caps in the desk dresser (it was not cleaned) and while the bathroom was clean, the shower emitted a high pitched squeal when the water was at a comfortable temperature, meaning the shower had to be boiling hot or freezing cold in order to the noise to stop. The back of our door was also coated in a fine white powder that we could not identify but was clearly not dust. The hallways were a disgrace as well. We found no less than 3 room signs on the ground, and we found an empty 40oz malt liquor bottle in an elevator at 9am. During our stay there was painting at the end of the hall, which would not be a problem, but the painter had not draped or taped anything, so the paint smell was overpowering and the air was full of paint dust. Easy check-in. Room was comfortable, roomy and clean. Refrigerator, iron and ironing board were handy. Quality hot breakfast with good scrambled eggs, cereal, waffles, pbj toast, and danishes. Slept well on the comfortable bed with an abundance of pillows. Heat was easy to adjust. Bathroom was clean! I would stay there again. Thank you for your kind words. We appreciate your feedback. We look forward to having you stay with us again in the near future! If there is anything we can do to make your next stay more comfortable, please do not hesitate to call us. Overall good experience at this hotel. I was able to book the suite for the week I was there. Hotel room was clean and the bed was very comfortable. The only thing I didn't enjoy during my stay was the hotel staff. There was an older lady at the front desk who probably spent more time outside smoking than inside attending to the occupants. Would stay here again though. Great location close to the interstate. Thank you for staying at our hotel. We appreciate your feedback. We are sorry we fell short of some of your expectations, but will try our best to improve for future guests. We strive to provide every guest with an amazing experience. We hope you will come visit us again once we are done remodeling our hotel. "Got a "deal" to stay in 3rd level suite. Wasn't that sweet." The 3rd level suite was set up like an outdated bar with stool seating. Wasn't ever communicated that! Not impressed. Nothing special from staff help. Unenergetic staff. Breakfast had variety but was ordinary in taste and presentation. Thank you for your feedback. We are currently remodeling all our rooms to update the look and feel. We apologize we could not meet your expectations. We strive to provide every guest with an exceptional experience. We hope you will come experience our hotel again once our updating is complete. "Comfortable and quiet. A good value"
The service was friendly and prompt at check-in. All staff I saw during my stay were pleasant and helpful. The room was clean and quiet. I thought the beds were fine....not the most comfortable I have ever slept in, but better than average. Good, fresh coffee ready early! There are two restaurants within easy walking distance. I have already made a reservation for my next trip to the area. Thank you for you feedback. We are glad you enjoyed your stay and appreciate your kind words. We look forward to having you stay with us again. The hotel was not like the web site pictures. It was a little run down and in need of some renovation. Beds were comfortable but heater turned off and on all night which was very annoying. Carpeting needs some cleaning. Service was good and breakfast was a good offering. Thank you for your feedback. We are currently going through a full remodel which will update the look and feel of our hotel. We hope you will come visit us again once these updates have been made. We strive to provide every guest with a great experience at our hotel. This is a nice quiet hotel just off the 694 on the west side of Minni/St. Paul It has a nice breakfast, a coffee maker (K-cup) in your room. Outside noise is nothing. Getting back on 694 is just a little tricky. Thank you for your kind words. We look forward to having you stay with us again! Thank you for your feedback. We are currently going through a full remodel which will update the look and feel of our hotel. We hope you will come visit us again once these updates have been made. "A good place to stay." Very large, comfortable room. Quiet. Bed was extremely comfortable, except for the pillows, which were much too large for us to sleep well on, so we were glad we brought our own. The only complaint I have is with the hot tub, which wasn't very warm, and the jets barely adequate. Large selection of foods for breakfast, and the eggs, sausage, and bacon were served hot, unlike some we've had which were just warm. We appreciate your feedback. We have fixed the hot tub issue and it is now working great! We look forward to having you visit us again in the near future! WE started staying at this Motel shortly after it was built, before it became a Best Western. It has always been an excellent place to stay. The breakfast's are good. The service is excellent. IF little noises bother you avoid the rooms next to the elevator. Hotel, though, has always been very quite. Sgt Pepper's is a good place for a meal. We are glad you enjoyed your stay at our hotel. We appreciate your kind words and look forward to having you stay with us again in the near future. "Good location, amenities, value for money ....."
Just off the freeway, the location is convenient. I really liked the fact that the room had a microwave and a fridge which allowed me to store food and heat it, which was especially useful during a long stay. Business and Fitness Centers open 24 hours allowed me to do some late night printing and get some exercise. Staff is very helpful and my stay was quite peaceful. I would return to stay here again, if I travel to that area again. My wife and I were looking for a quick get away and this location had everything we wanted. It was located close to where my wife needed to stay because of her appointments on Friday and Saturday. The room was well appointed and the staff were very accommodating. We stayed here based on the price and the reviews. It was not too far from the airport and was close to a few grocery stores and the area felt safe. Check-in was swift. Room was dated(especially the bathroom). Overall, for the price and location, we got what we expected. Thank you for taking the time to review our hotel. We are glad you enjoyed your stay. We will be going through a complete renovation in the near future. We hope you will come back to experience our upgrades once they are completed. "Provided everything which we needed"
We stayed here on a trip to the Twin Cities to attend a Garrison Keillor show! This hotel met our needs nicely. The facility is clean; the room was large -- and clean. Everything worked! Breakfast was very good -- the area was well stocked and tended! Thank you for taking the time to review our hotel. We appreciate your kind words. We strive to provide all our guests with an amazing hotel stay. We hope to see you again in the near future. Nice room and hot breakfast- eggs, bacon, waffles,cereal, toast. Would definitely stay again. It is close to expressway so very convenient. Stayed here while visiting University of Minnesota campus-- about a 25 minute drive from campus but on way home. Thank you for taking the time to review our hotel. We strive to provide the best value in town. We appreciate your kind words and look forward to having you stay with us again in the near future. Kenneth, We are glad your family visit went well. We strive to provide all our guests with an exceptional stay. We hope you will come back in the next year to see our renovations! Thank you for taking the time to review our hotel. We take feedback from reviews like yours to help improve our level of service. 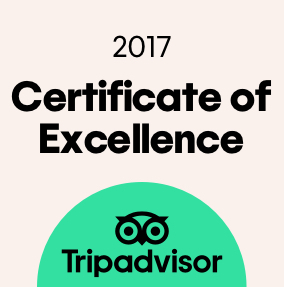 I hope you will give us a 2nd chance the next time you are in the area so that we can show you how much we care about our guests. Good location near expressway. Staff not trained well in greetings. Rarely even looked up when passing by and didn't say hello unless we said it first. Pillows were lumpy. Had issues with TV. Internet worked well. William, Thank you for taking the time to review our hotel. We take valuable feedback from reviews like yours to improve our level of service. We will continue to work on ways to improve our service level. I hope you will give us a 2nd chance the next time you are in the area. The hotel is easy to get to and from since it is adjacent to the first northbound I-694 exit. Many places to eat and shop are within a few miles of the location. Rooms are large and clean with refrigerator and microwave. Nice TV and cable. We slept well on the large, comfortable king size bed. The hotel was sold out (we got last room) but we did not hear any noise even though our room was only a few steps from the elevator and ice & soda machine alcove. Great breakfast hot and cold item selection, including apples, yogurt, and waffles, starting at 6 am. I paid $209 the night before to stay at a Holiday Inn Express. This hotel was $110 with a AAA discount. Even if the rates were the same, I think prefer this hotel. The room was nicer, but the breakfast wasn't quite as good. It's convenient to Woodbury and we didn't hear the freeway traffic. "Excellent Stay - Excellent Staff!" We've stayed at the Best Western in Oakdale, MN the past two years when we go to the MN State Fair. The service is excellent, and the hotel is nice and clean! Great hot breakfast too! The hotel has recently been renovated, so everything is new - and looks great!